Governor Kasich signing SB 165 on March 30, 2012. In compliance with Am. Sub. S.B.165, the Ohio Department of Education (ODE) has revised and posted syllabi and model curriculum for the high school American History and American Government courses. ODE also has posted the revised model curricula for grades four and eight. This legislation also requires that not later than July 1, 2013, local boards of education are to adopt interim end-of-course examinations for American history and American government. These interim examinations are to be used until the state end-of-course examinations are selected. Ohio’s end-of-course examinations for American history and American government are to be determined by July 1, 2014. Below are resources on Am. Sub. S.B. 165. More will be added to assist school districts with the interim end-of-course examinations. Click this link for the Columbus Dispatch Story. Click here for a message from the OCA President, Chris Long, about the passage of SB 165. 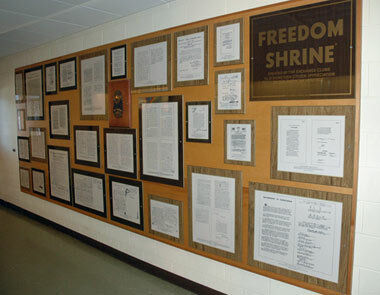 The Exchange Club offers schools the opportunity to display a collection of historical American Documents with their Freedom Shrine Program. Fosters students’ ability to act responsibly and become successful problem solvers in a independent world of limited resources” (ODE, 2010, p. 4). This Ohio statement of the purpose of social studies aligns with best practices according to the research, which affirms that student-centered and inquiry oriented instructional strategies are the most successful methods for engaging the civic learning of students and support student civic learning (IEA Civic Education Study, Torney-Purta & Amadeo, 2004; Torney-Purta, Lehmann, Oswald & Schulz, 2001). In opposition to research-based best practices in both teaching and assessment are wholly teacher-centered approaches focused on rote memorization (see OCSS Position Statement on the Use of the U.S. Citizenship and Naturalization Test for Measuring Student Civic Learning). As such, we support assessment systems and testing that help Ohio students reach these social studies goals through active learning and appropriate assessment systems and testing. Assessment systems and testing are integral parts of social studies education in Ohio and across the nation, the most central purpose of which is to drive student learning and achievement. 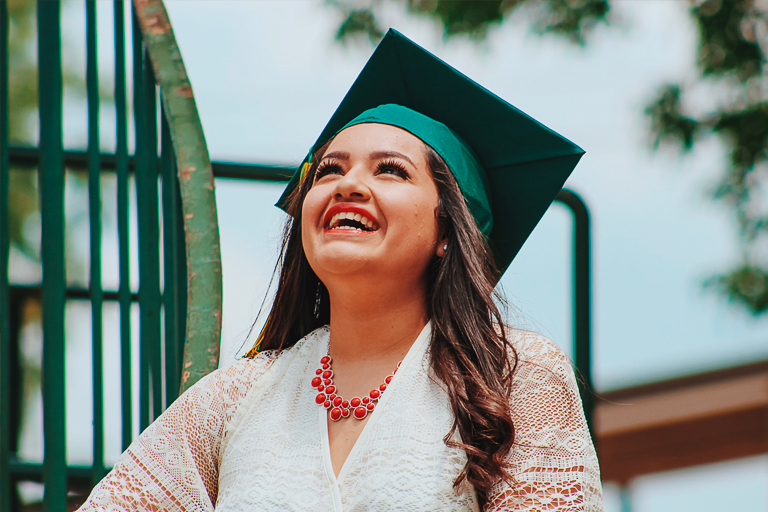 Arnie Duncan recently stated the ESSA requirements should “offer actionable information about students’ learning” (2015, para 4), implying that assessment should help teachers help all students succeed. Research shows that assessment can in fact drive instruction and thereby improve student achievement, but only if 1) purposefully integrated with planning and 2) closely aligned with standards (Shepard, 2000). Purposeful integration with planning means that data from assessments are available in a timely, transparent, and comprehensive fashion. Teachers can use the data to inform instruction and thus impact student achievement, thereby providing “actionable information about student learning” (Duncan, 2015). The research shows conclusively that “formative assessment does improve learning” (Black and Wiliam, 1998, p. 47), and that summative assessments can also be used to inform teaching and impact learning in positive ways. OCSS encourages the Ohio Department of Education to improve transparency in reporting testing data for students and teachers so that they may conduct thorough analyses for their programs and provide substantive feedback to students and communities. Close alignment of assessments with standards also is associated with increased student achievement (Shepard, 2000). One of the challenges of standardized testing is finding a balance between the student mastery of knowledge and facts and higher order, critical thinking standards present in the numerous sets of standards that guide social studies curricula. Critical thinking skills are more difficult to assess than content knowledge on a single standardized test. By their nature, state-wide tests cannot not measure student mastery of the significant about of content required in the standards, and as such, tend to focus on content that is “easiest to test,” meaning lower-order recall and memorization (Chudowski and Pelligrino, 2003; Horn, 2006; DeWitt, S., Patterson, N., Blankenship, et al., 2013). Additionally, there is evidence that mandated, high-stakes testing has impeded efforts to reform instruction in ways that promote complex, high-level learning (Fischer, Boi, & Pribesh, 2011) and teaching (Misco, Patterson, & Doppen, 2011). In view of these challenges inherent in high-stakes testing, OCSS applauds the significant effort the Ohio Department of Education has made to include higher order, critical thinking items on the Ohio State Tests. OCSS encourages ongoing attention to the inclusion of validated higher order items that relate directly to social studies disciplinary skills and the stated purpose of Ohio social studies. Strong alignment of social studies assessments with the critical-thinking purposes stated in the standards with inclusion of items that provide students with opportunities to critically think about data and provide evidence-based arguments. Black, P., & Wiliam, D. (1998). Assessment and classroom learning. Assessment in Education: Principles, Policy, and Practice, 5(1), 7–74. Chudowsky, N., & Pellegrino, J. W. (2003). The impact of high-stakes testing. Theory into Practice, 42(1), 75-83. DeWitt, S., Patterson, N., Blankenship, W., Blevins, B., DiCamillo, L., Gerwin, D., & … Sullivan, C. (2013). The lower-order expectations of high-stakes tests: A four-state analysis of social studies standards and test alignment. Theory and Research in Social Education, 41(3), 382-427. Duncan, A. (2015). Excerpts from Education Secretary Arne Duncan’s prepared remarks at the Learning Forward conference today, Dec. 8. Retrieved from http://www.ed.gov/news/press-releases/excerpts-education-secretary-arne-duncan’s-prepared-remarks-learning-forward-conference-today-dec-8. Fischer, C., Boi, L., & Pribesh, S. (2011). An investigation of higher-order thinking skills in smaller learning community social studies classrooms. American Secondary Education, 39(2), 5-26. Horn, C. (2006). The technical realities of measuring history. In S. G. Grant (Ed. ), Cases of state-level testing across the United States (pp. 57-74). Greenwich, CT: Information Age. Ohio Department of Education. (2010). Ohio New Learning Standards: Social Studies Learning Standards. Retrieved from http://education.ohio.gov/getattachment/Topics/Ohio-s-New-Learning-Standards/Social-Studies/SS-Standards.pdf.aspx, p.4. Shepard, L. A. (2000). The role of assessment in a learning culture. Educational Researcher, 29(4), 4-14. Video – Disciplinary Literacy: Why it matters and what we should do about it. COMMON CORE PRESENTS OPPORTUNITIES FOR SOCIAL STUDIES: But history, civics, geography, economics educators must work actively to seize them by Herff Jones Achievement Series (August 2013). Remember that the passage of Amended Substitute House Bill 1 (2009) eliminated the 5th and 8th Grade Social Studies OAA’s, so there is no data available beyond that point for K-8 Assessments in Ohio. Grades 4 and 6 Social Studies Assessments are scheduled to begin during the 2014-2015 school year. The Ohio Council for Social Studies (OCSS), the state’s largest professional coalition of social studies teachers, strongly opposes House Bill 544 co-sponsored by Representative Kyle Koehler (R-79) and Representative Al Landis (R-98). The mission of OCSS is predicated on preparing and supporting teachers as they work to prepare youth to undertake the most important office in The United States–the Office of Citizen. Research demonstrates that civics education has been marginalized in many states under No Child Left Behind (NCLB) (Civic Mission of Schools, 2003; Kahne & Middaugh, 2008) and as such, we deeply appreciate and applaud the sponsors’ commitment to reinvigorating and strengthening civic education nationally; however, we do not believe this bill is right for Ohio and its youth. In fact, we are not alone, as similar legislation in states such as Florida, Indiana, Wisconsin, and New York has been voted down by social studies and civic teachers on grounds that it detracts from strong college and work ready state and local civic standards and assessments. House Bill 544 proposes giving students the choice to replace Ohio’s required high school American Government State Exam with the civic component of the U.S. Immigration and Naturalization Test. 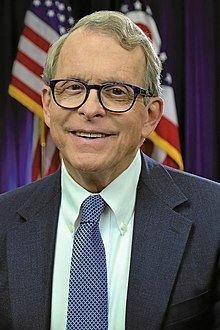 OCSS is requesting that government leaders, parents, business leaders, teachers and anyone else expecting Ohio high school graduates to become informed and active democratic citizens in our state also oppose this bill. The current American Government Exam is based on Ohio’s American Government Standards. Every high school student in Ohio must take the course and its accompanying end of course exam. This validated and reliable state exam sets the expectation that students to be college and work ready. The exam already holds students accountable for understanding our country’s founding documents, including in depth understanding of the Declaration of Independence and the US Constitution as well as the structures of both the national and state government. Of equal importance is student responsibility for knowing their roles and responsibilities as participants in our democratic process. The current American Government Exam is based on homegrown development of rigorous new learning standards that promote college and work readiness. Local educators, parents, professors, and stakeholders from across the state have worked hard to create strong local standards for Ohio’s youth that are amongst the best in the nation. These local standards, adopted by our State Board of Education, serve as a blueprint for new high quality performance assessments that are administered at different intervals in schools. The Center for Information and Research on Civic Learning and Engagement (CIRCLE) notes that Ohio is one of only eight states in the nation to have standardized tests in place specifically in civics/American government, and one of only two that require passage of this test for graduation (CIRCLE, 2012). Tests like the U.S. Citizenship and Naturalization test that promote low-level/superficial knowledge steal quality instructional time away from implementation of Ohio’s strong civic standards, which promote real-world civic engagement and community service (see the OCSS Assessment Systems and Testing Position Statement). Research finds that student-centered and inquiry oriented instructional approaches engage students more and bolster student civic learning versus those teacher centered approaches focused on rote memorization (IEA Civic Education Study, Torney-Purta & Amadeo, 2004; Torney-Purta, Lehmann, Oswald & Schulz, 2001). Assessments should be aligned with teaching, such that they include attention to the higher-order learning outcomes described in the research as well as in Ohio’s standards. There is no evidence that implementing this test would result in greater civic engagement (Feinberg and Doppen, 2010; Hess, 2015; Levine, 2015; Winke, 2011). The U.S. Immigration and Naturalization Test is not an adequate measure of civic learning, because it measures only memorized content and not actual understanding or implementation. It is too easy to pass and would require little study or instruction. Ohio’s existing American Government standards and graduation exam already demand youth understand basic principles of U.S. Government and pertinent founding documents. Much of the material measured on the 100-item Naturalization Test is already contained in the Ohio’s American Government standards. Further, the Ohio standard focus on helping students understand how the American people govern themselves at the national, state, and local levels of government. These standards also demand Ohio’s youth to engage in societal problems and participate in local government. 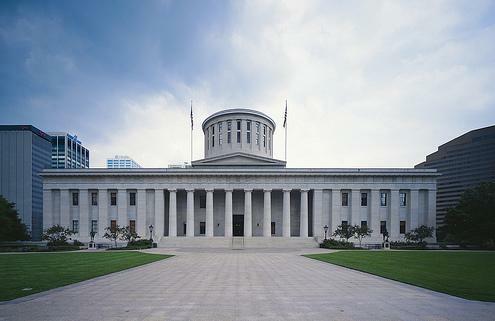 These state level American Government standards require students learn how the Ohio Constitution (1851) complements and interacts with the federal structure of government. Ohio’s youth learn how to engage in and make their voices heard in state government and in their communities. The US Citizenship Test is out of alignment with Ohio’s rigorous homegrown American Government standards. The U.S. Naturalization and Citizenship Test was designed for U.S. immigration purposes, not for our Ohio high school graduates. If this legislation is passed, it will mean requiring the Ohio Department of Education to replace an existing rigorous, validated, reliable, and closely-aligned test with one that is far inferior. Ohio’s youth deserve high quality, rigorous, aligned, and locally developed assessments that include higher-order items (see OCSS Assessment Systems and Testing Position Statement). Outside of requiring students to learn basic principles in American Government, Ohio’s civic assessments and standards expose students to equally important local and state government, instill local civic participation, and promote successful readiness for college, career, and civic life. While we acknowledge students must have a firm and robust understanding of both U.S. and Ohio Government, we also argue that youth must gain valuable experience debating, deliberating, presenting, and performing their roles and responsibilities as citizens. The U.S. Immigration and Naturalization Test is void of Ohio and local government topics, and prioritizes rote level memorization over critical thinking and performing/mastering competencies. We feel that if passed, our state would be actually be weakening its civic standards and assessments. Below are a few samples from the US Citizenship test, the current Grade 4 Ohio State Test, and the current Ohio High School American Government test. Which First Amendment right is this citizen exercising? Identify the rights and responsibilities of a citizen of the United States. Move each action into the correct column in the chart. Different documents played important roles in the development of the United States’ democratic form of government. Which document provided for the establishment of the executive branch of the United States government? Identify two branches of the U.S. government. Then, explain one responsibility of each branch. Type your answer in the space provided. Federalism is one of the basic principles established in the U.S. Constitution. Describe how government in the United States reflects a federal structure. Prior to the ratification of the U.S. Constitution, Federalists and Anti-federalists argued over the basic principles and limits in the role of the government. The quotations shown reflect those arguments. Use your knowledge of Federalists vs. Anti-Federalists to identify which group held each of the positions shown. Click on the “Federalist” or “Anti-Federalist” heading above each quotation. In the case Gibbons v. Ogden, the Supreme Court was asked to resolve a dispute over which part of government has the power to regulate navigation rights in rivers between states. 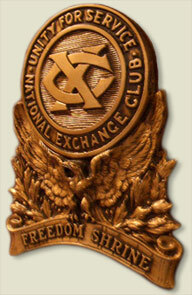 The Court ruled that Congress had the power to regulate interstate commerce. Determine the key principle of government that was involved. Identify the result for our system of government. Click on the box you want to select in each column. According to the Ohio and U.S. constitutions, which responsibility is held by both the state of Ohio and the federal government? Your city is debating whether to install a skateboard park on city-owned land. You want to support the park. Which method would be effective in helping to determine public policy on this decision? Participate in the governor’s re-election campaign. Send an email to your U.S. senators expressing your point of view. Attend the meeting of the city council and present the benefits of a park. Organize a letter-writing campaign to members of the Ohio General Assembly. In response to public concern about downtown parking availability, a city’s mayor appoints a panel of traffic engineers, transportation officials and citizens to study the issue. Six months later, the panel published a 30-page report documenting its findings. Which factor will contribute to the credibility of the report as a source on the topic? Feinberg J.R. & Doppen F.H. (2010). High school students’ knowledge and notions of citizenship. The Social Studies, 101(3), 111–116. Hess, D. (2015). Council of State Social Studies Specialists civics discussion [Webinar]. In CS4 Webinar Series. Retrieved fromhttps://drive.google.com/file/d/0B1pF6W3Zxix1Z2llcXh5ZlpxVDQ/view. Kahne, J., & Middaugh, E. (2008). High quality civic education: What is it and who gets itt? Social Education, 72(1), 34-39. Winke, P. (2011). Investigating the reliability of the civics component of the U.S. Naturalization Test. Language Assessment Quarterly, 8(4), 317-341.